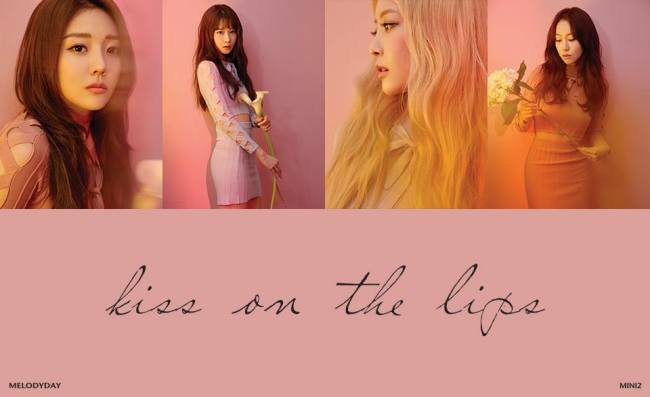 Korean girl group Melody Day will make a comeback with its second mini-album “Kiss on the Lips,” due to be released on Feb. 15 midnight. The Viewga Entertainment announced the group’s return on Wednesday with a photo shoot, featuring all four members -- Yeoeun, Chahee, Yein and Yoomin -- clad in pink dresses with flowers. The group was formed in 2012 and officially debuted with the single “Another Parting” in 2014, which was followed by the first mini album “Color” last year. February is full of comebacks by K-pop artists, with new releases expected from BTS, TWICE, NCT Dream, K.A.R.D, VAV and Lovelyz, among others.